Iranian President Hassan Rouhani has warned about the danger posed by US President Donald Trump to the world, urging European countries to work with Iran against Washington’s unilateralism. 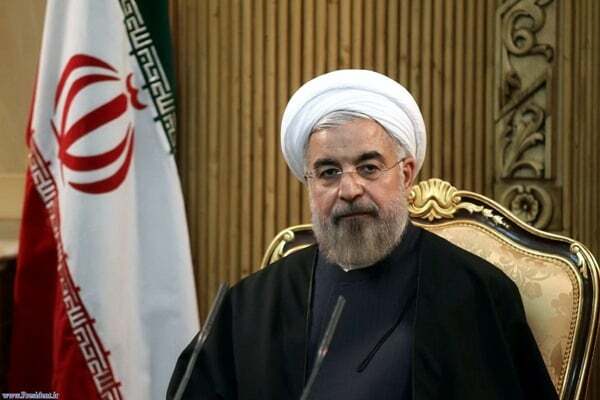 “In today’s tumultuous world, the only way to overcome difficulties is through concerted international efforts based on mutual interests, and not the short-sighted demands of one or a few states,” Rouhani said in a Thursday article published by the Financial Times. “Unilateralism is fatal; while multilateralism is the only appropriate, inexpensive and effective course of action,” he went on to say. “Europe’s tradition of multilateralism positions it well to play an important role in reinforcing peace and stability, in line with its identity and interests. Iran believes in multilateralism and is prepared to join other peace-loving nations in this path,” Rouhani noted, adding that cooperation between Iran and Europe will secure the long-term interests of both parties, and ensure international peace and stability. The world faces a myriad of challenges, including economic issues, social crises, the predicament of refugees, xenophobia, terrorism and extremism. Europe has not been exempt, and has been confronted by these problems almost daily. Over the past two years, US foreign policy has emerged as a new and complicated problem, as America creates new challenges on a variety of fronts in international relations. We see US complicity in the daily atrocities in Yemen and in the humiliation and gradual perishing of the great nation of Palestine, which has daily inflamed the emotions of one-and-a-half billion Muslims. We believe the American government has explicitly supported criminal groups like Isis, who value no human principles, exacerbating the problems of our region. More broadly, US president Donald Trump’s approach to matters of trade, international treaties and the humiliating manner in which he treats even America’s allies, illustrates how US foreign policy has posed new challenges to the global order. In brief, the US administration’s policies of unilateralism, racial discrimination, Islamophobia, and the undermining of important international treaties, including the Paris Climate Accord, are fundamentally incompatible with multilateralism and other socio-political norms valued by Europe. There is another critical matter aggravating transatlantic relations: the Iran nuclear deal. Known as the Joint Comprehensive Plan of Action, it was the product of two years of intensive negotiations between Iran and six other countries, including three from Europe. As an annex to UN Security Council Resolution 2231, this agreement enjoys the approval of the overwhelming majority of the international community and, as part and parcel of international law, imposes certain obligations on all the members of the UN. Unfortunately, the US, through raising unfounded claims and in complete disregard for its international obligations, has abandoned the nuclear agreement and imposed extraterritorial and unilateral sanctions on Iran and, by extension, other countries. The US is, in effect, threatening states who seek to abide by resolution 2231 with punitive measures. This constitutes a mockery of international decisions and the blackmailing of responsible parties who seek to uphold them. The nuclear accord is recognised as a great victory for diplomacy in our time. That is why the EU is working with other nations around the world — with the exception of a very few — to save this great achievement. Since the US withdrew, we have held constructive talks with the remaining JCPOA participants. Their support has been valuable, but it is essential that the European parties, as well as China and Russia (known as E3+2), present and implement their final proposed package of measures to compensate for and mitigate the effects of America’s newest unilateral and extraterritorial sanctions before they are imposed. This historic agreement can only survive if the Iranian people can witness and enjoy the benefits it promised. The recent decision of the International Court of Justice and its provisional measure against US unilateral sanctions reaffirms the legitimacy of Iran’s position, and the illegality of these oppressive sanctions. Disregarding the binding and mandatory nature of the provisional measure demanded by the ICJ would undermine confidence in international treaties. That would create a major challenge with possibly dangerous and negative consequences for regional and international peace and security. The nuclear deal demonstrated that Iran is committed to reason and dialogue. We have initiated political consultations with Europe on key issues of mutual interest, especially on regional crises, with the aim of finding appropriate solutions. In today’s tumultuous world, the only way to overcome difficulties is through concerted international efforts based on mutual interests, and not the short-sighted demands of one or a few states. Unilateralism is fatal; while multilateralism is the only appropriate, inexpensive and effective course of action. Europe’s tradition of multilateralism positions it well to play an important role in reinforcing peace and stability, in line with its identity and interests. Iran believes in multilateralism and is prepared to join other peace-loving nations in this path. Cooperation between Iran and Europe will secure the long-term interests of both parties, and ensure international peace and stability.